The suspicion was certainly not without reason. Whole countries looked on as the disease erased entire family trees. Doctors and aid workers dressed in protective gear akin to spacesuits to fend off the highly contagious disease. Those brave people who fought against the spread of the disease were collectively given Time magazine’s 2014 Person of the Year award. 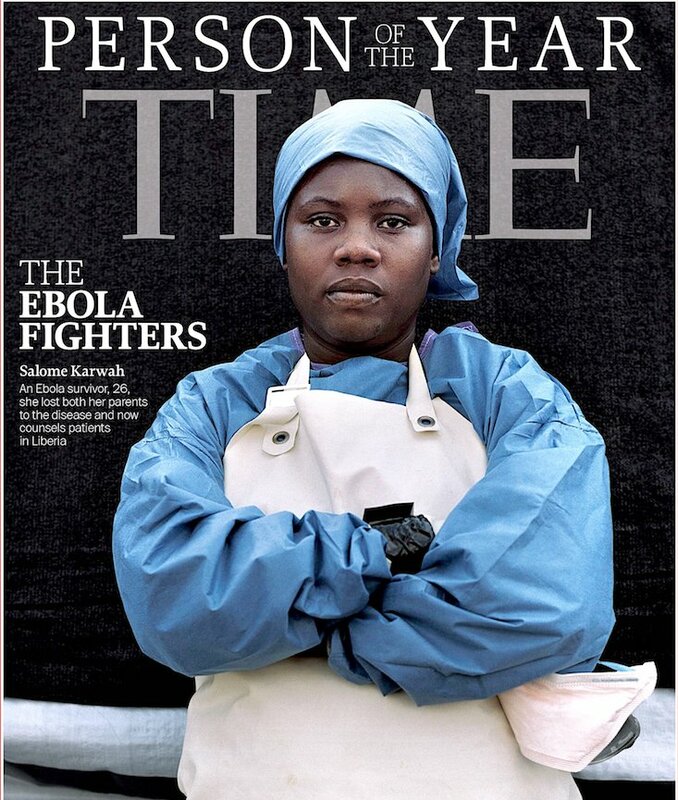 Among the medical workers featured on Time’s cover was a Liberian nurse, Salome Karwah, who lost her parents to Ebola, beat the sickness herself and went on to provide care to scores of others. Partners In Health (PIH) is a Boston, Massachusetts-based non-profit health care organization founded by Paul Farmer, Ophelia Dahl, Thomas J. White, Todd McCormack, and Jim Yong Kim in 1987. The goals of the organization are “to bring the benefits of modern medical science to those most in need of them and to serve as an antidote to despair.” It provides healthcare in the poorest areas of developing countries. It builds hospitals and other medical facilities, hires and trains local staff, and delivers a range of healthcare, from in-home consultations to cancer treatments. It also removes barriers to maintaining good health, such as dirty water or a lack of food, and strengthens the rights of the poor. The approach trades charity for “accompaniment,” which is described as a “dogged commitment to doing whatever it takes to give the poor a fair shake.” While many of its principles are rooted in Liberation theology, the organization is secular. It forms long-term partnerships with, and works on behalf of, local ministries of health. The organization is widely known from Tracy Kidder’s The New York Times bestselling book Mountains Beyond Mountains: The Quest of Dr. Paul Farmer, a Man Who Would Cure the World. The book details Farmer’s life and work with the organization. The title comes from a simplified translation of the Haitian phrase, deye mon, gen mon. (Wikipedia).